The new Prosci.com website is live! The site offers a more engaging, intuitive, interactive user experience, plus ready access to the change management information and resources you need. To help you get the most from our new website, here are the top seven enhancements. 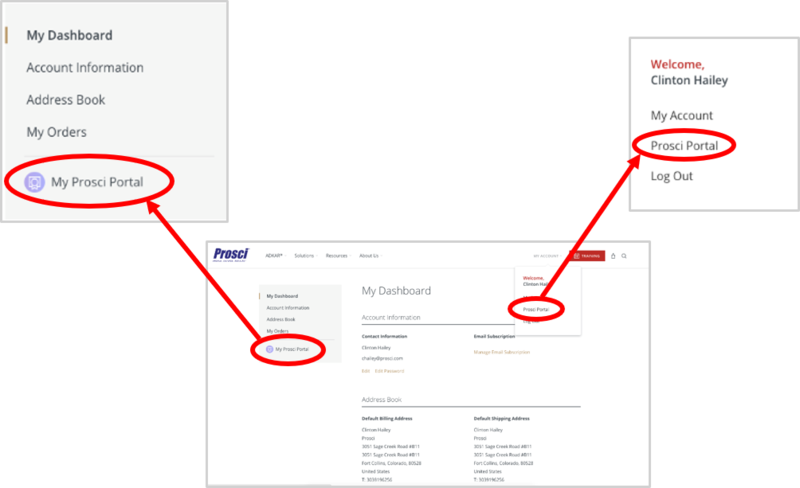 The sign in page for the Prosci Portal looks different, but you can still access your account and all your tools. Use the “Sign In” button in the upper right of the screen to navigate to the log in page. If you get an error message when you try to log in, select “Forgot Password” to reset it. After you sign in, click the Portal icon in the left navigation menu to get to your Portal home page. Your Dashboard is now one central location for your Prosci bookstore account and your Portal account. You are now able to update your account information from one place, and view invoices of your purchases. The new site offers more intuitive navigation for exploring the ADKAR Model, our solutions for individuals and organizations, the Resource Center, and the Prosci organization. With the new site architecture, you’ll find it easier to access the solutions, programs, tools, methodologies and resources you need for your change management journey. 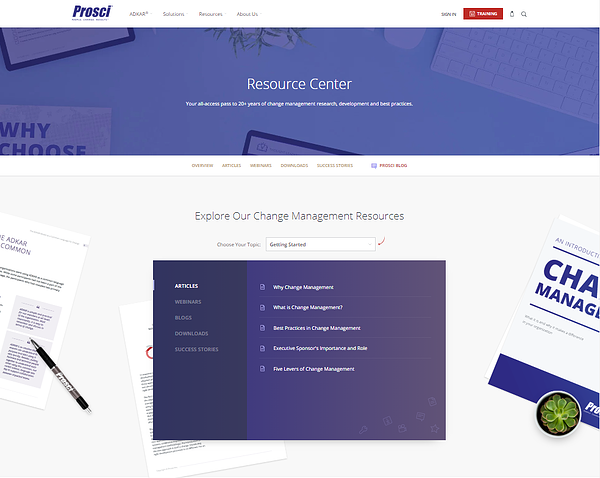 Prosci’s 20+ years of change management research, development and best practices is available at your fingertips in the new Resource Center. It’s a centralized library of resources including thought leadership articles, blogs, success stories, on-demand webinars and more. You can search the Resource Center by topic, such as “Getting Started” and “Building Enterprise Capability.” You can also zero in on a particular type of asset, such as success stories. Within the Training Schedule, you can now search for Prosci training programs by global region and by program type, such as Certification or Train-the-Trainer. 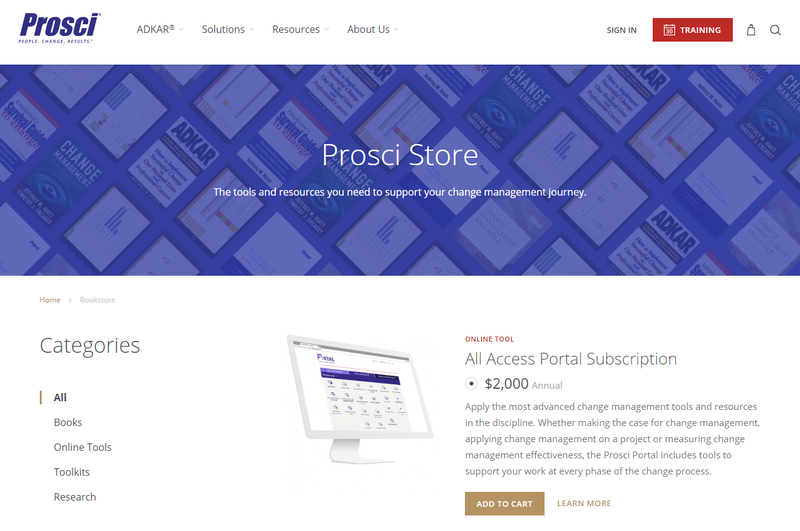 You can purchase books, online tools, toolkits, research and training programs directly from the Prosci.com website through a unified Prosci Portal and store account using a single sign-on. You now have quicker access to the change management information you need. 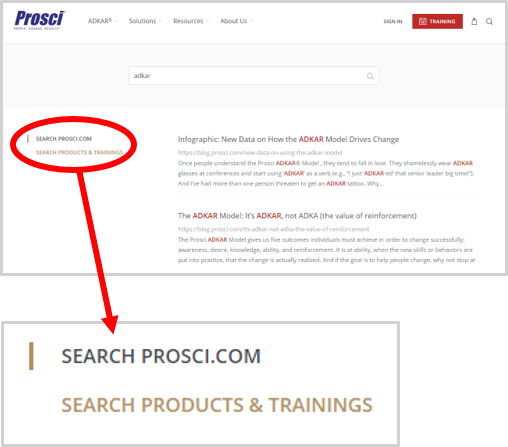 Search results are provided for both the entire Prosci.com site and more narrowly within product offerings and training programs. In response to changing customer needs and with our continued worldwide growth, Prosci has some exciting new offerings, now featured on our website. You’ll find dedicated pages for popular new offerings such as Integrating Agile and Change Management Workshop; Prosci eLearning Modules; and our growing Advisory Services solutions that include Strategic Alignment Workshop, Change Management Integration Workshop, The Accelerator for Change Practitioners, and others. As you explore the new website, please let us know if you have any questions or comments by emailing us at generalinquiry@prosci.com. We welcome your feedback and will continue our focus on delivering you an engaging, enjoyable website experience. Want more help using the new website? Watch this recorded webinar on using the new site to accelerate your success! 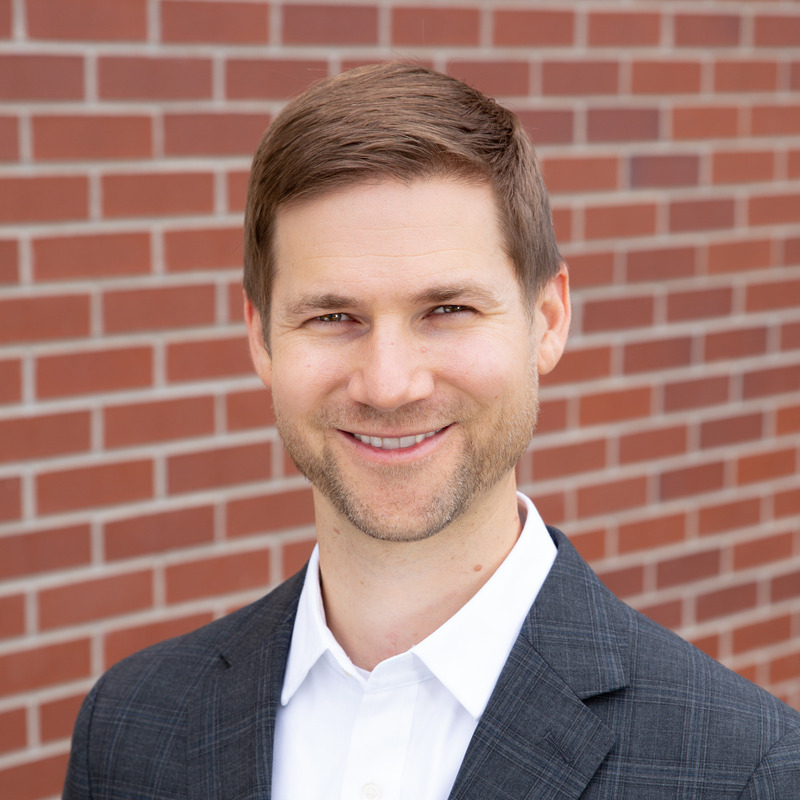 Clinton Hailey leads a global team as the Director of Marketing for Prosci. He has 15+ years of experience in branding, digital strategy, inbound marketing and sales enablement. His diverse background includes founding Switzerland's first-ever inbound marketing agency, where he built and led a team serving international accounts in a variety of industries.